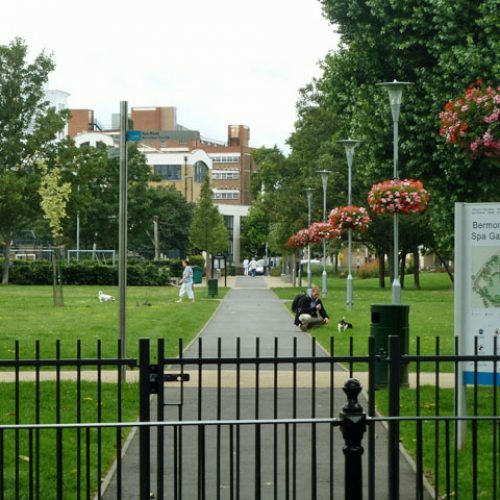 Southwark Park is located in the Bermondsey / Rotherhithe area and it offers fantastic wide-open spaces, perfect for playing games, picnics, walking or just enjoying the scenery. The Green Flag Award winning park offers a wide range of sporting facilities, a new cafe and an art gallery. There’s also a boating lake and wonderful gardens. Whatever you enjoy doing, there’s something for everyone. View the trail map for Southwark park. Wheelchair access: There is wheelchair access to the entire park and cafe. Bowling green: open from April to September, call 020 7237 8408 to book. Football: open from August to March, call 020 7525 1052 to book. Tennis courts: can be used free of charge. 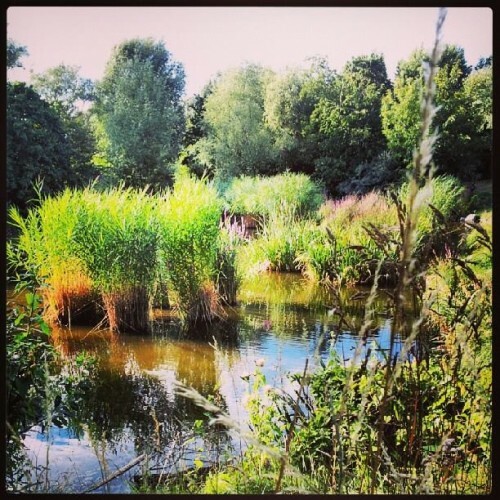 Southwark Park is open from 7.30am until an hour before dusk. 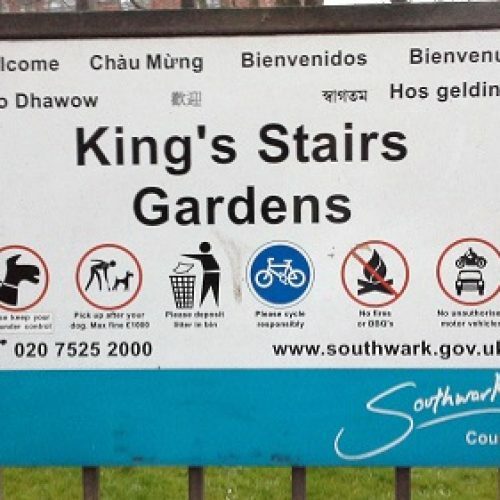 Entrances: Jamaica Road, Lower Road, Southwark Park Road and Gomm Road, SE16. Tube: Bermondsey or Canada Water (Jubilee line). Bus: Numbers 1, 47, 188, 199, 225, 381, 395, P13. Car/bike parking: The car park is located at Hawkstone Road. Bikes can be parked at Hawkstone Road and Gomm Road. Southwark Park first opened its gates to the public in 1869 and was one of the earliest parks to be opened by the Metropolitan Board of Works. The design of the park is attributed to Alexander McKenzie and covers an area of 25 hectares. The park also boasts London’s first public memorial to honour a working class man; a drinking fountain to commemorate Mr Jabez West, a member of a local Temperance Society. The Ada Salter rose garden was built in 1936 by Alfred Salter, MP for West Bermondsey, and tributed to his wife Ada when she passed away several years later. They both wanted to create a place of beauty where mothers and elderly could sit. In 2001, the park underwent a major refurbishment with £2.5m from the Heritage Lottery Funds and a replica of the 1833 bandstand from the Great exhibition was replaced. Many parts of the park were restored to their former glory; a new bowling pavilion was built along with a new children’s play area. The lake was finally restored to its original pre-World War II size and the main gates were repaired. The Friends of Southwark Park and Young Friends of Southwark Park play a key role in running Southwark Park and are responsible for organising a number of events in the park. Both groups meet every month. If you would like to get involved in Southwark Park please call the Southwark Park community outreach officer or the park manager on 020 7525 2000.